Whether you’re in a fixer upper or a brand new home, eventually, all homeowners get the urge to DIY. It can be as simple as updating decor — or as involved as renovating a kitchen. But no matter what level of DIY you’re aiming for, there’s no denying that it’s addicting. 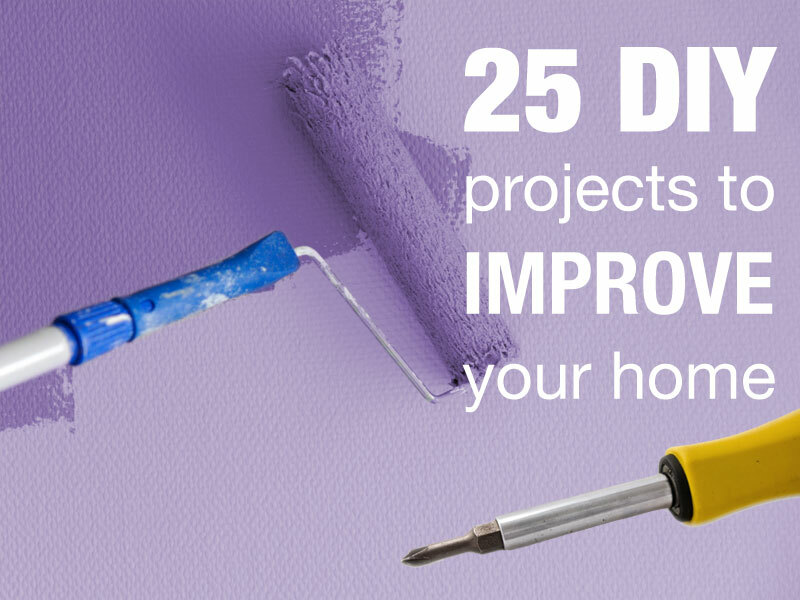 Check out these DIY home improvement ideas to find inspiration for your next home project. If your floors are begging for an update, but there’s just not room in the budget for a brand new covering, paint just might be the solution you’re looking for. 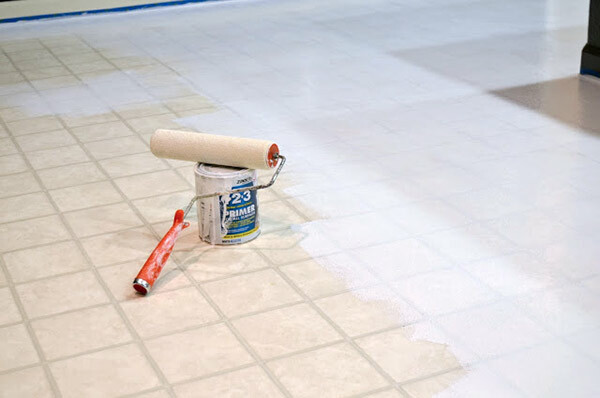 Shavonda at A Home Full of Color guides us through her two-part tutorial of painting her floors. New countertops are expensive, but with creativity and unique materials, you can whip up a DIY project that’s both attractive and affordable. 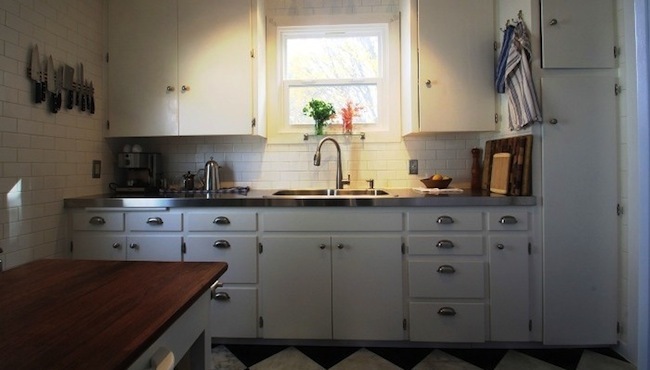 Bob Vila has shared a variety of DIY countertop options, from concrete to stainless steel, and even pennies. Any outdoor area in need of a deep clean can benefit from pressure washing: siding, driveways, walkways, decks or anything you may be keeping outdoors. You can rent a pressure washer, attaching an extension wand for high or out of reach areas. 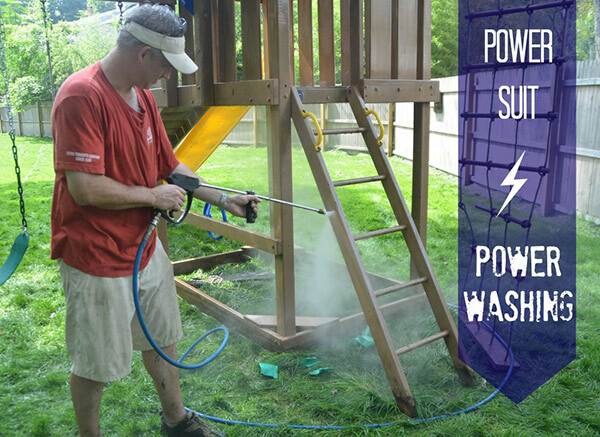 The Ciburbanity family has fun power washing and shares the great results with before and after photos. 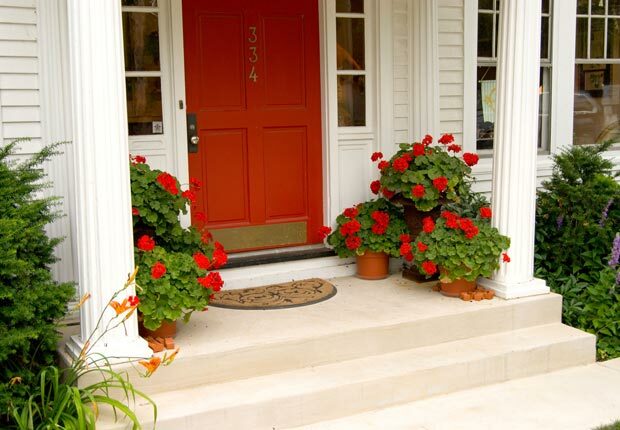 Spruce up the front of your home with a front door makeover. AARP has a great idea for repainting your door in a contrasting color, replacing or polishing hardware, and adding new house numbers. Winter nights call for gathering around the fire. 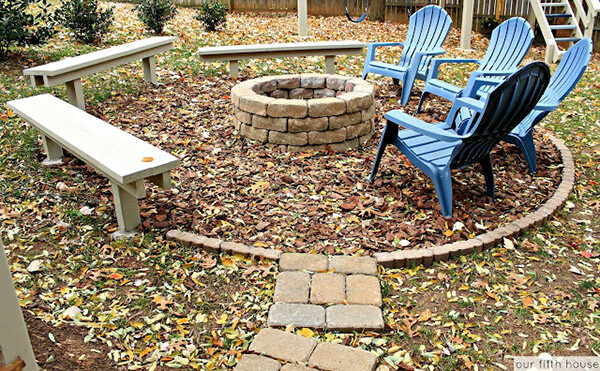 With a new fire pit in the backyard, you can take your party outdoors — and even enjoy some roasted marshmallows. Carmel’s dad created a great fire pit for her backyard at Our Fifth House. Yes, really! A great complement to your fire pit — assuming you don’t but the two too close together — a backyard ice rink is the ticket to winter fun. 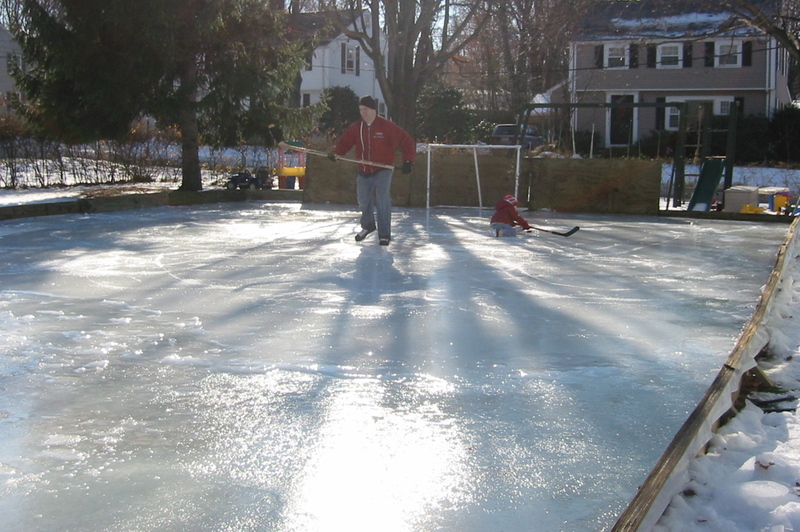 Try Average Guy DIY‘s plans for outdoor skating and hockey fun. 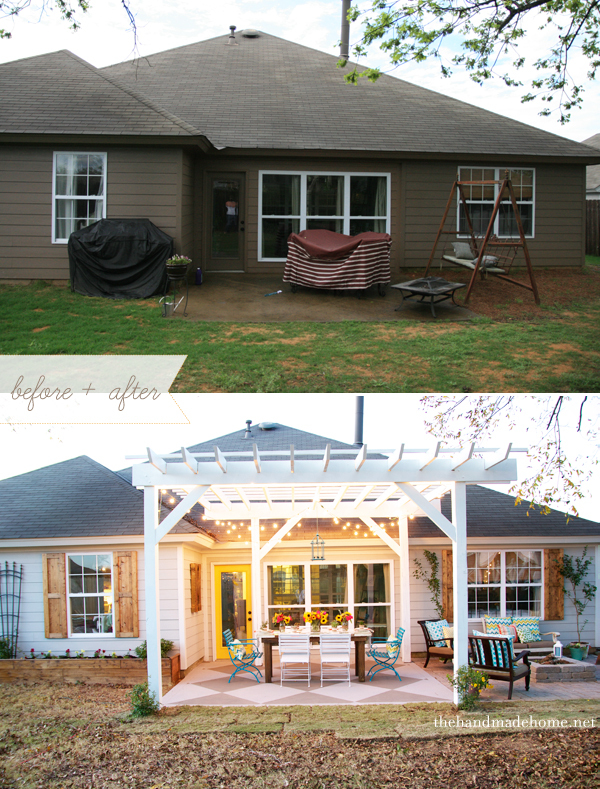 Another great backyard update: a pergola. This patio cover offers a little shade and a lot of style. The Handmade Home will walk you through the entire process, from deciding on size and setting the posts to grilling up steaks on your newly improved patio. Nothing dresses up a room quite like crown molding. It adds character and style, and it’s so easy to install. 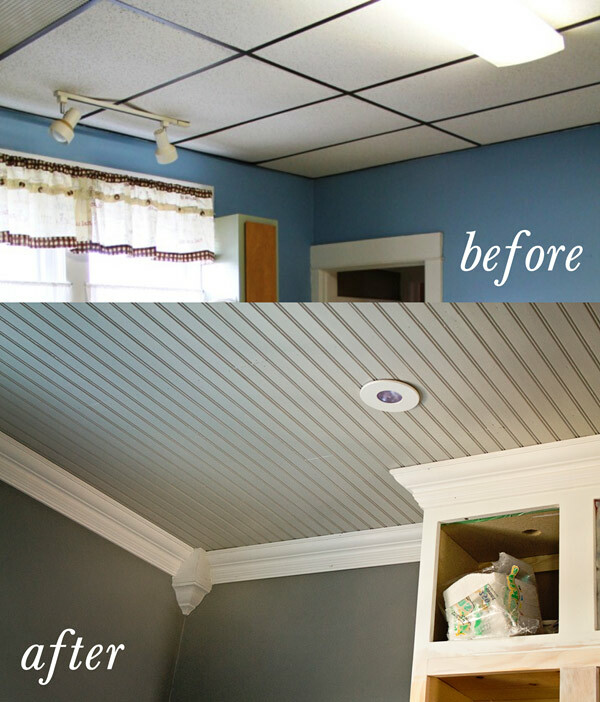 Jen from West Street Story executes her home crown molding projects wonderfully in the guest bedroom and the kitchen. 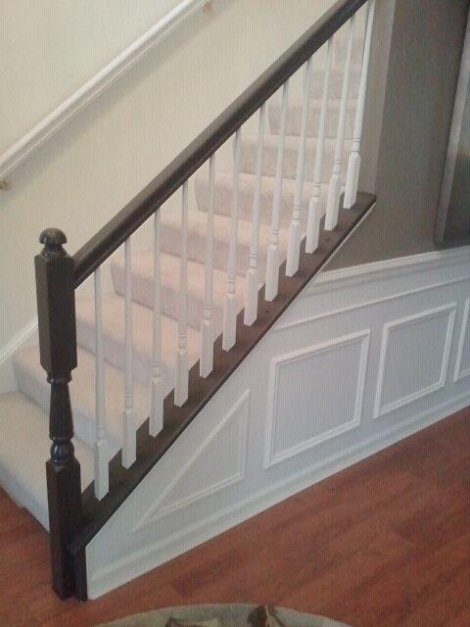 Just like crown molding, wainscoting is an easy way to dress up your walls and add a little extra oomph to any room. Visit Katie at My DIY Habits to see stages of her wainscoting project as part of a major bedroom overhaul! 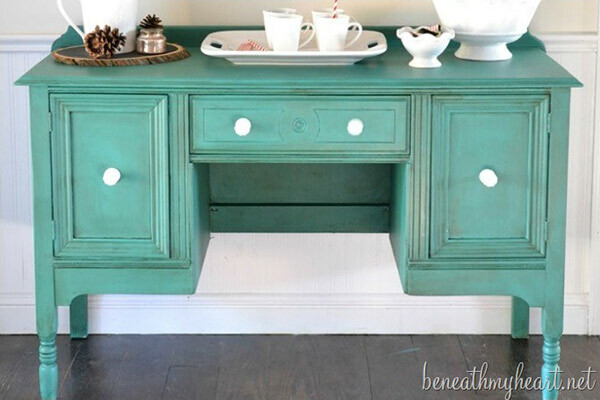 There’s no DIY project that gives you quite the bang for your buck like refinishing old furniture. On what is usually quite costly pieces in your home, you can give it quite a fresh look by changing its color. Traci at Beneath My Heart actually refinishes a buffet that was already refinished, giving it a 3rd life! New, energy efficient lighting fixtures are a money saving update — you might even qualify for a rebate on your purchase! 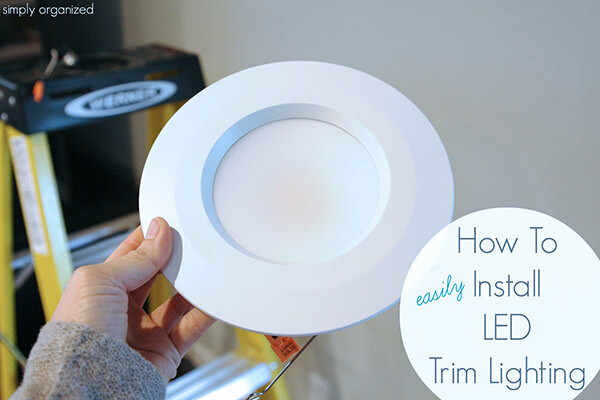 Visit Samantha at Simply Organized for a DIY lighting fixture swap tutorial. Display photographs, nick-knacks, and special items on beautiful floating wood shelves that you’ve built yourself! This is great for the kitchen, living room, or even in the laundry room as beautifully done by Four Generations One Roof. If you love to spend time at the local swapmeet or spend your early mornings at yard sales you know what kind of great deals you can pick up on secondhand furniture. People are mostly looking to clear out their home, and you can score great savings. Sometimes your finds will need some love though. 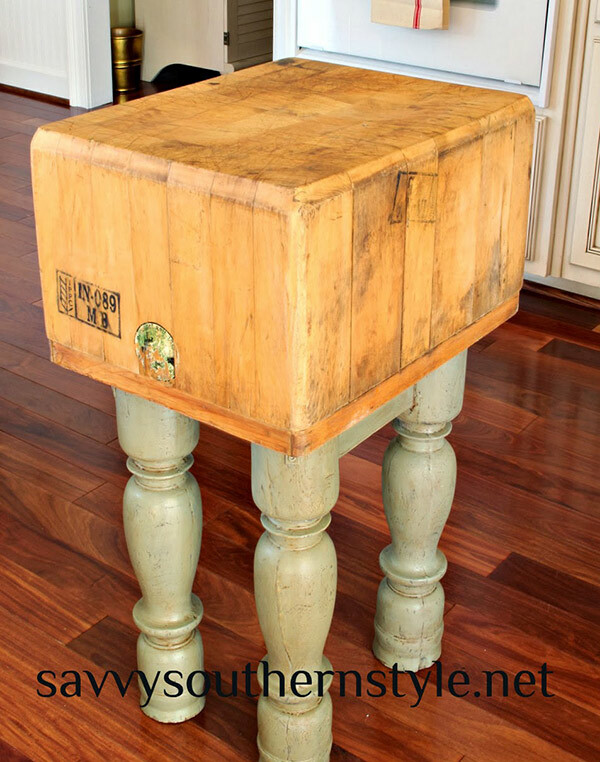 Check out how Kim at Savvy Southern Style revived an old butcher block. Protect your stairs, add a soft landing, and maybe even add a pop of color with a newly installed DIY stair runner. Colleen from Lemon Drop Dreams shows us how to easily tackle this project. Reupholstering furniture can sound like a scary process if you’ve never seen it done before. However, it’s a pretty simple process that can update your old furniture by a few decades. Plus you get to choose your own fabric to match the home! 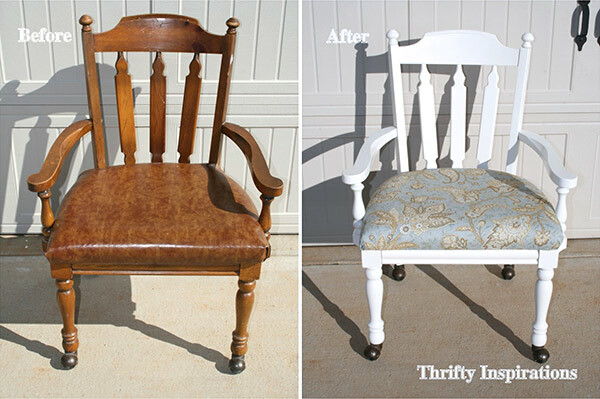 Rachel at Thrifty Inspirations shows us how she gives an old chair new life. 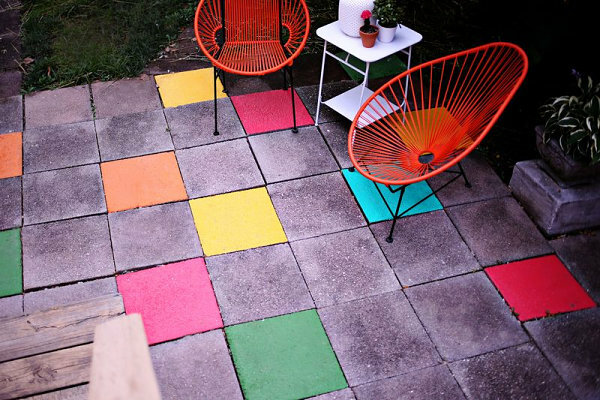 Beautify your patio one square at a time with colorful painted patio tiles. Visit Decoist to see this project and several other easy home improvement projects for creative spaces. 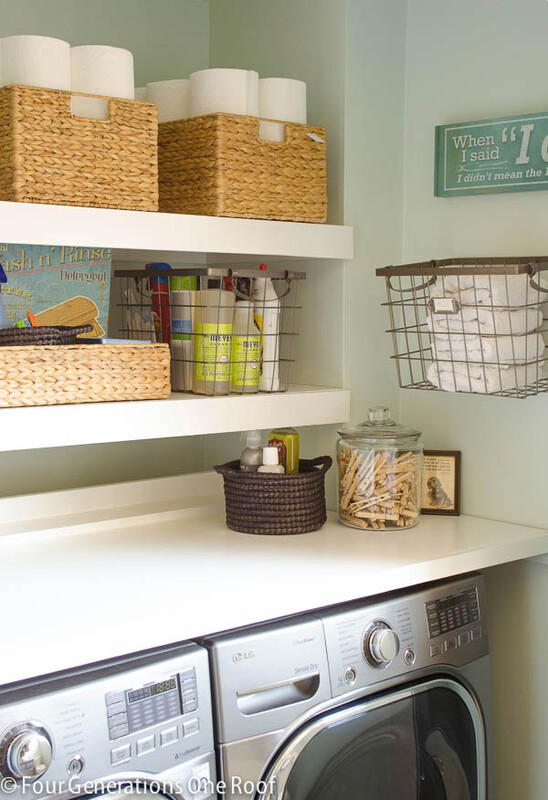 Make your mudroom space more functional with designated landing spaces of all of your family’s stuff–or turn an unused closet into a mudroom! This project from Aly at Entirely Eventful Day shows how to get more use out of a closet with labeled hooks and custom painted shelves. 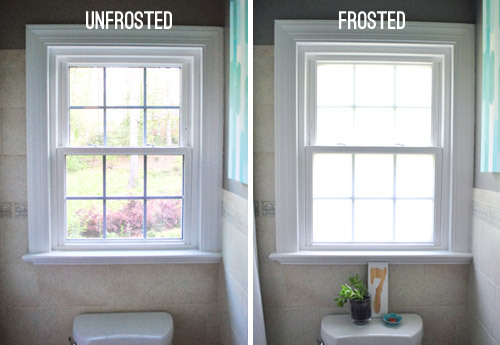 If you have a window that could benefit from a little more privacy, consider frosting your window glass. Young House Love explains how to do this easy project with frosting film. It’s easy enough to pop over to your local home improvement store and buy a vanity, but take on this project, and you can save hundreds, while also customizing the look of your bathroom. 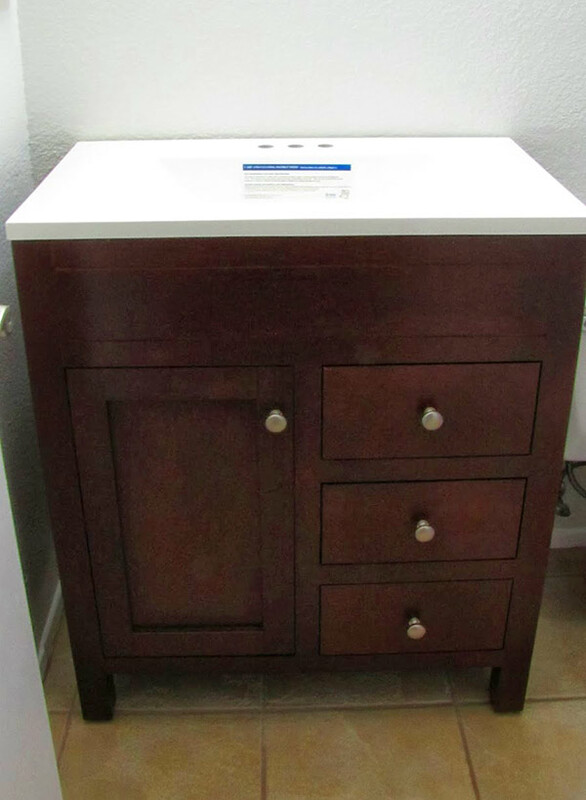 Chrissy at Adventures in DIY shares her vanity renovation, with lots of problem solving a long the way! Update a room, or a corner, with just one wall of new paint. 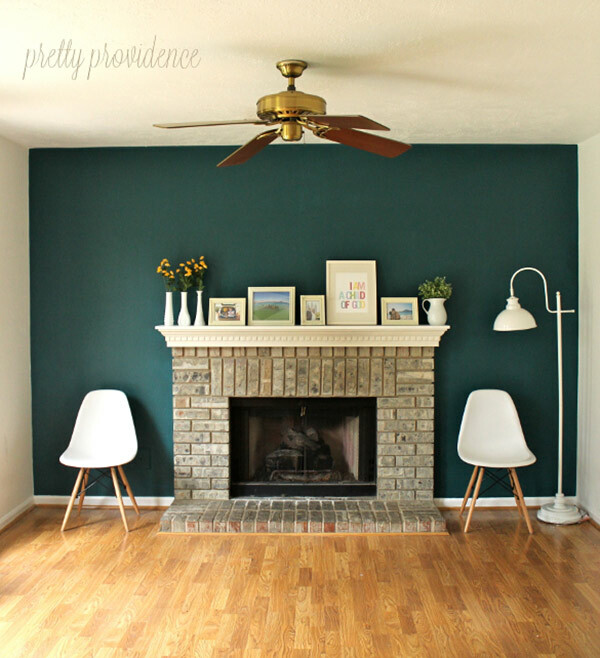 Sarah and Jessica from Pretty Providence shows us their accent wall that packs a punch. 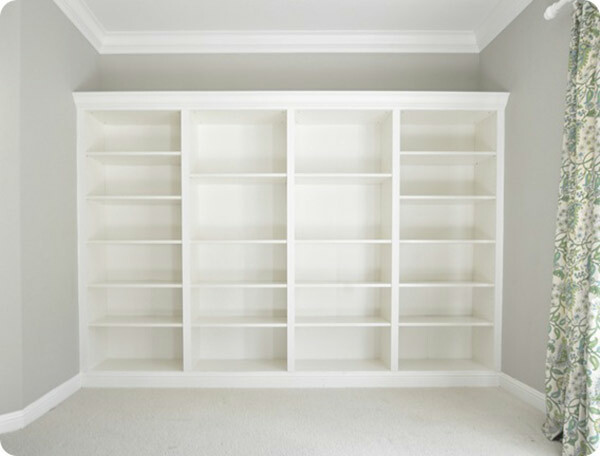 Invest in your home office with massive built in bookshelves. Kate at Centsational Girl made a beautiful built in bookshelf by using IKEA’s Billy bookcases. A little paint can go a long way to freshening up the look of any area of your house, even the stairs. 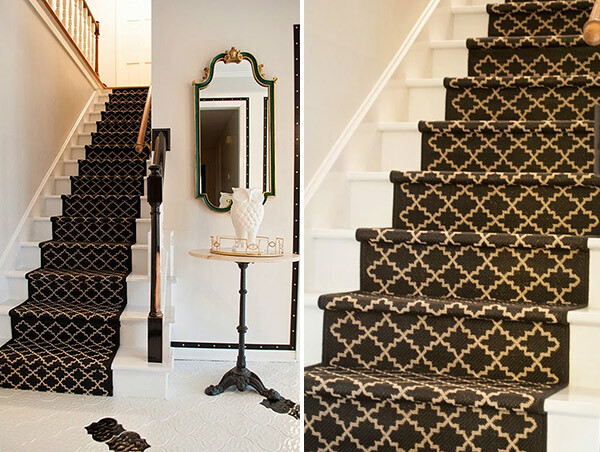 Check out how Snazzy Little Things worked to find the perfect color for her stairs. Updating fixtures, or taking on a full remodel, can certainly change the look of your bathroom. 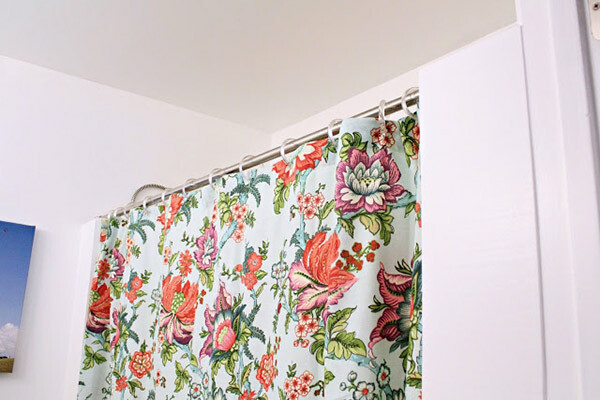 However, a simple replacement like changing out the shower curtains makes such a big impact in a bathroom since it takes up a lot of visual space–this is exactly what Michelle at Ten June did and the change is very noticeable. 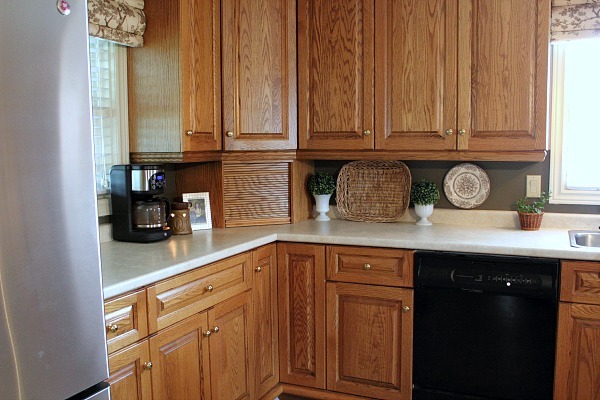 For most homes, installing a kitchen backsplash is a fairly easy project. Courtenay from The Creek Line House shows us her backsplash addition which is a very affordable project to take on! Sure, you can schlep out to IKEA and allen wrench your way to a new table. Or you could build it with your own hands! 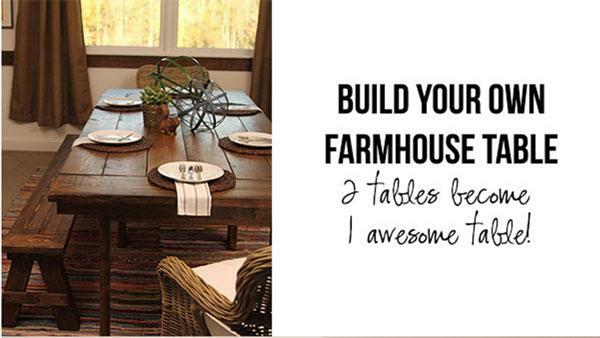 Try out these plans for a DIY farmhouse table from Live Well Network for a rustic table without the high price.